J/99 Short-handed Offshore SpeedsterJ/Boats and J/Composites are pleased to announce the new J/99, a 9.9 meter (32.6') crew-friendly, offshore-capable speedster currently under development at J/Composites in Les Sables d'Olonne, France. The J/99 is the newest addition to the J/Sport . 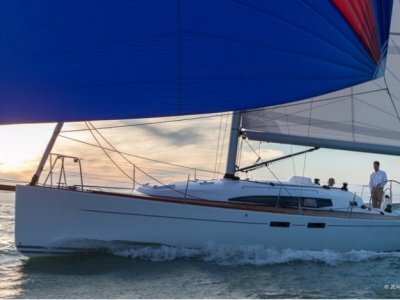 . .
J/122e is a versatile 40 foot performance sailboat with comfortable liveaboard accommodations, a refined deck layout, low VCG keel with a moderate 7.2' draft. The hull & deck are built using superior infusion moulding technology to maximise durability and long term value. An . 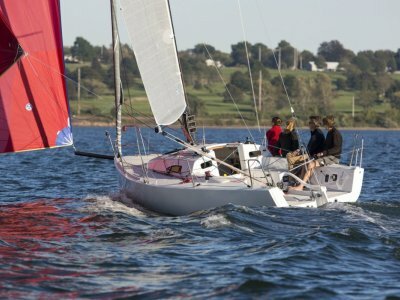 . .
A Fast 36' One-Design with Comfy Cockpit & Speed to Burn Every now and then a new sailboat comes along that fulfills a real need in the market. Many of them have been J-Boats. 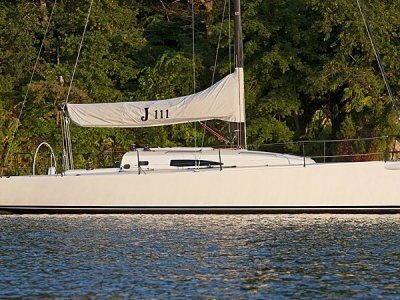 The J/111 is a sleek, speedy, one-design 36 footer that is the ultimate day sailing, racing and weekend cruising . . . The J/112E is the newest addition to J/Boats' "E" Series of versatile performance sailing yachts. The "E" is for elegance and evolution in performance cruising design. With a spacious two-cabin accommodation plan and a comfortable, ergonomic cockpit. 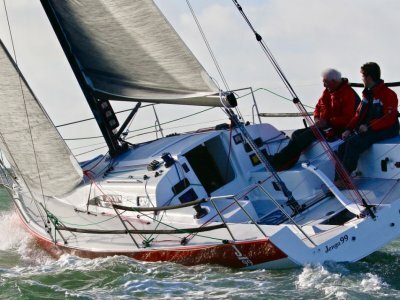 J/112E is a moderate . . . The J/97E is one of the J/Boats' "E" Series of versatile performance sailing yachts. The "E" is for elegance and evolution in performance cruising design. Why settle for anything less than sailing where and when you want to in comfort, style and speed? This may be your . . . 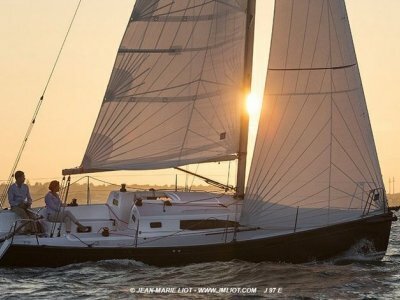 The new J/121 is a 40' offshore speedster that can be raced or distance sailed by just 5 or less crew.... The best short-handed J ever.... 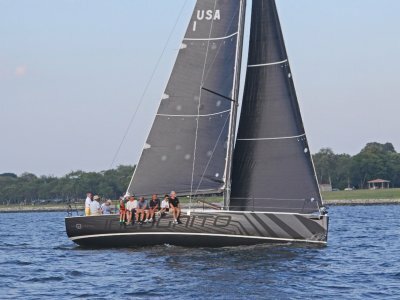 Here's a boat, class and program that redefines sailboat racing as a recreation and shared adventure with friends, reducing the focus on . 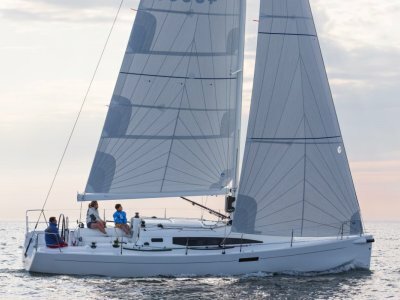 . .
NEW J/88- Fast Family Daysailer & Racer From the J design/build team that launched the J/70 and J/111, comes the NEW J/88, a 29' mid-size family speedster with stability, style and sailing comfort. J/88 hits the sweet-spot in J Boat's performance sprit range - large enough to . . .
J/70 Speedster- The NextGen Family Trailer Sailor. Easy to trailer and ramp launch. 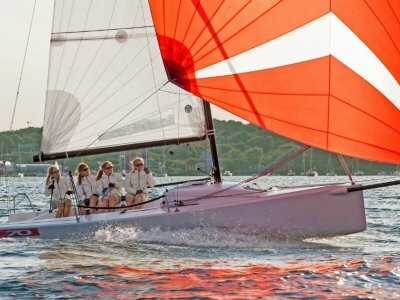 The J/70 Speedster (22.75 feet) is J/Boats' first ramp-launchable keelboat - designed to fulfill the growing need for an easy-to-own, high performance one-design that is exciting to sail, stable enough . . .